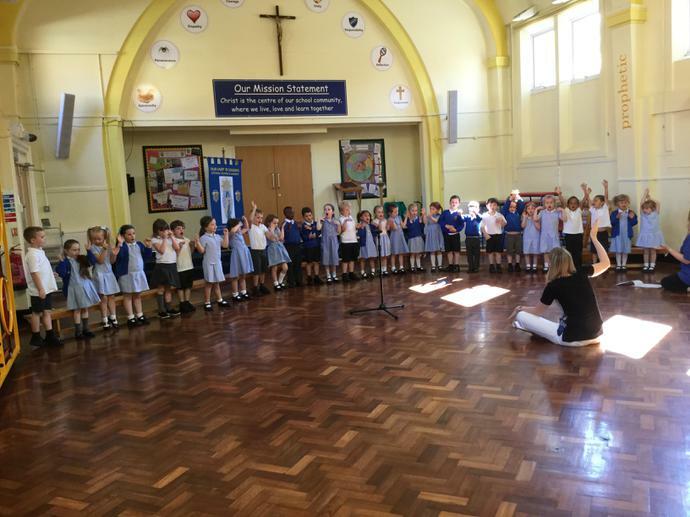 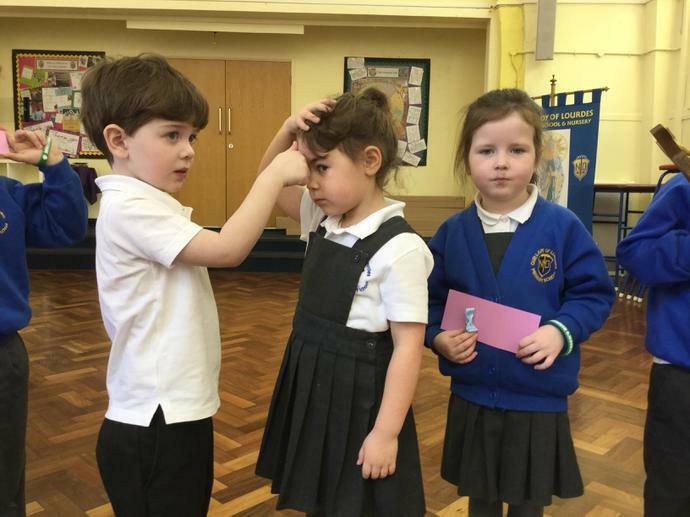 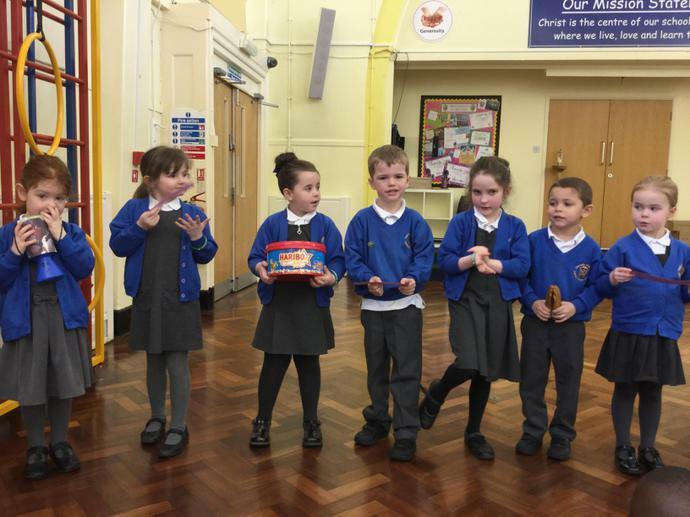 Acorns took part in a very special Ash Wednesday assembly. 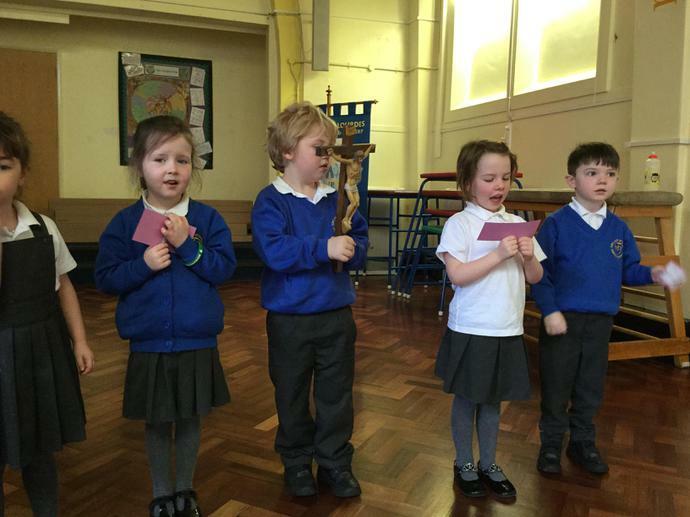 Happy Saint Patrick's Day from the Acorns! 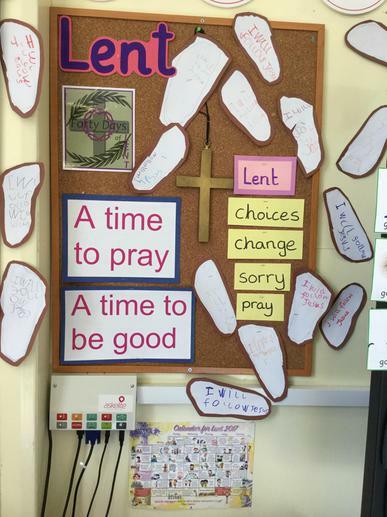 During Lent we have been thinking about how we can be good and help our mums. 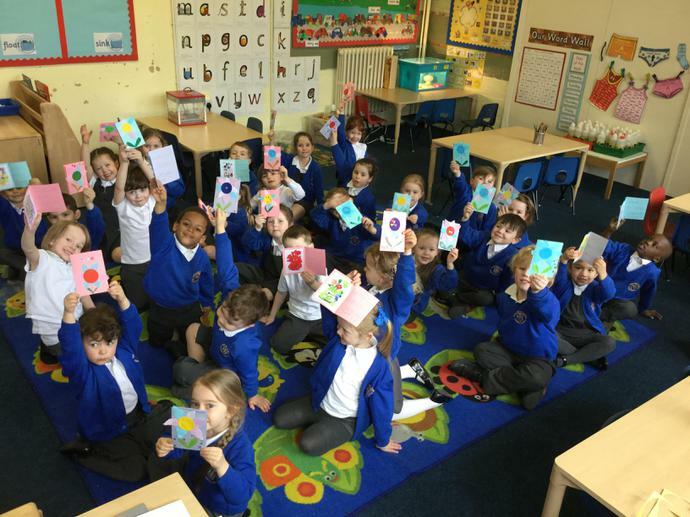 We made a card for Mother's Day and wrote what we would do to help our mums. 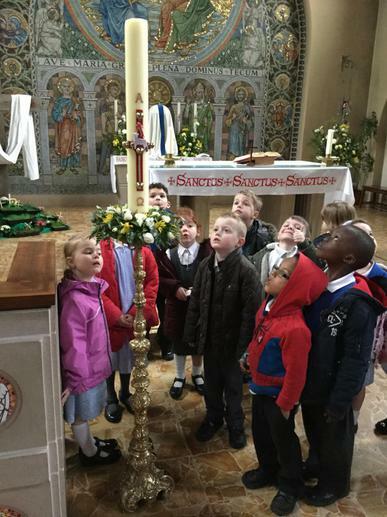 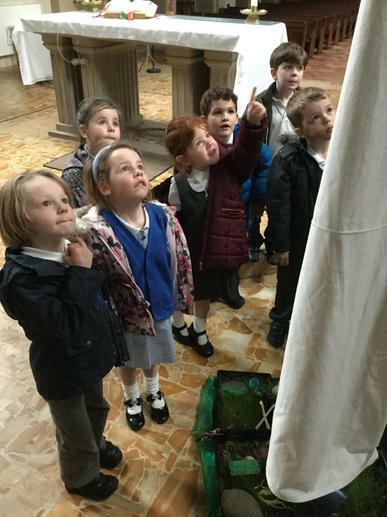 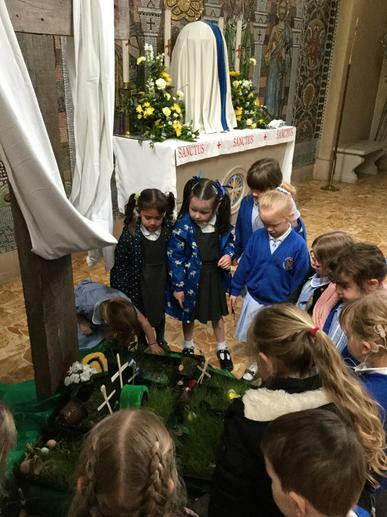 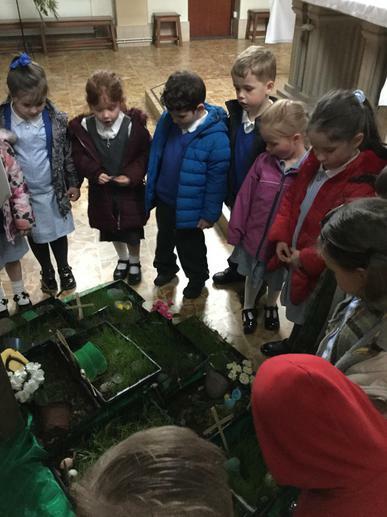 We visited church to look at the Easter candle and Easter gardens. 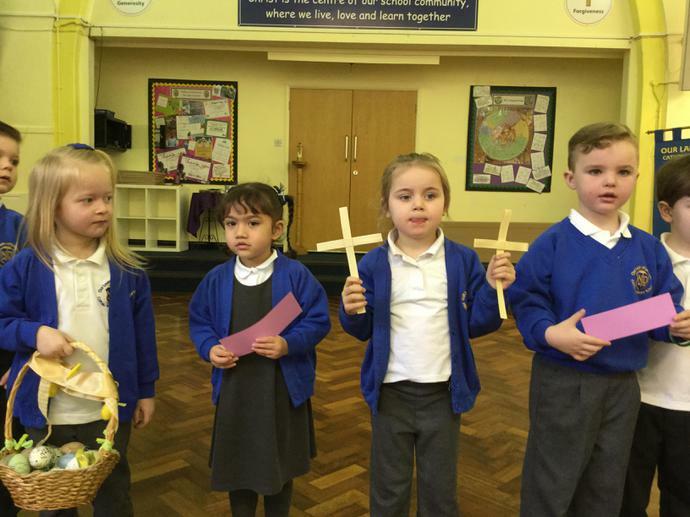 We went to mass to celebrate St. Peter and St. Paul's feast day. 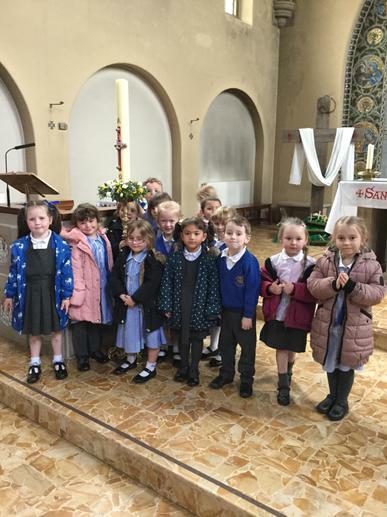 Father Sean showed us mosaics of St. Peter and St. Paul on the altar. 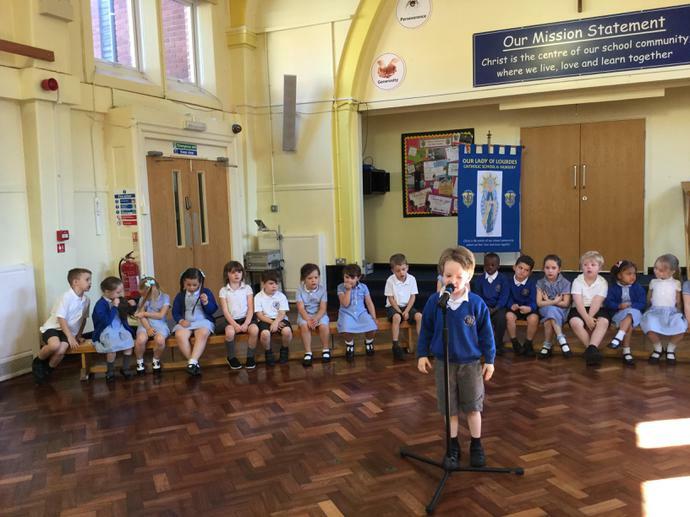 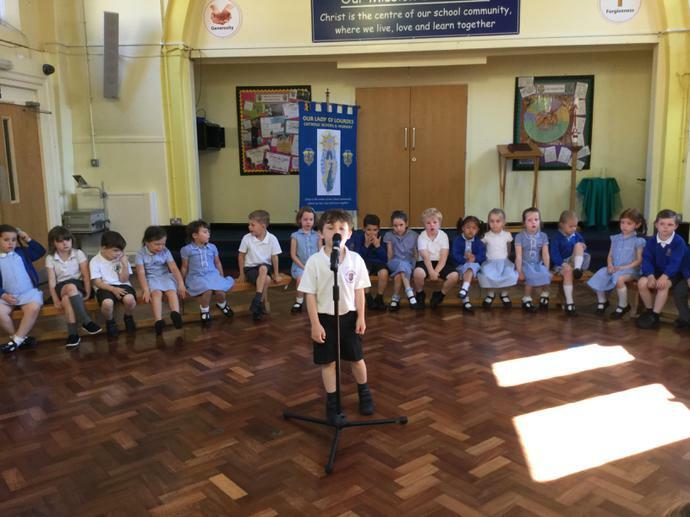 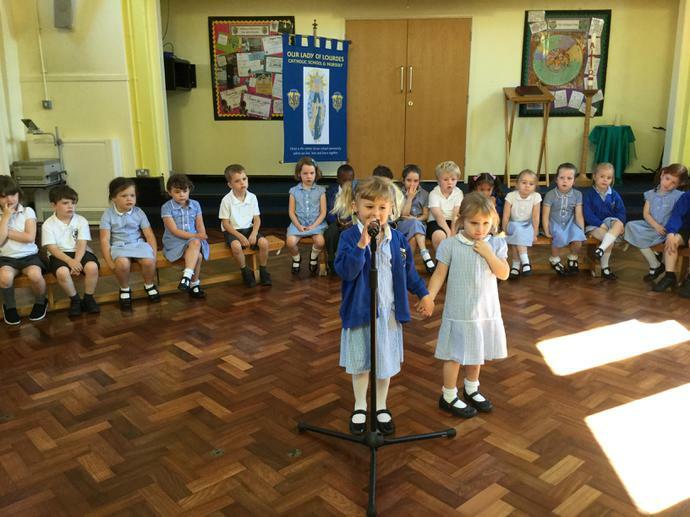 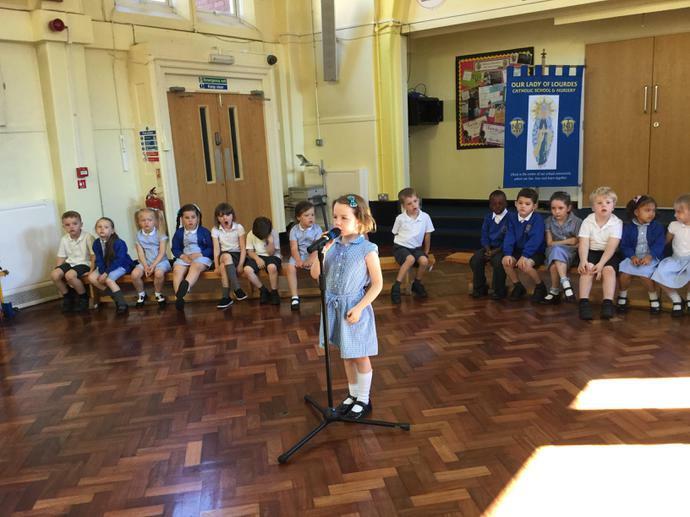 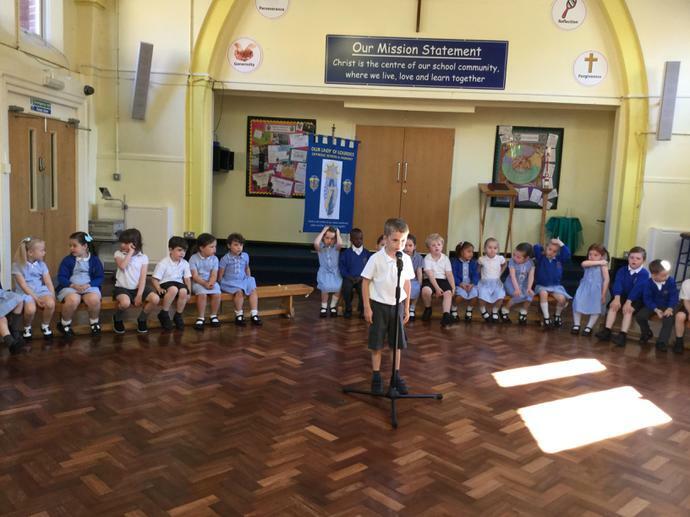 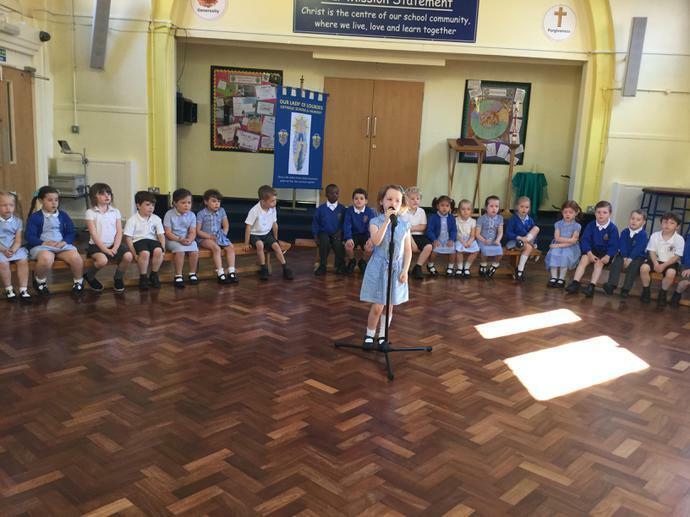 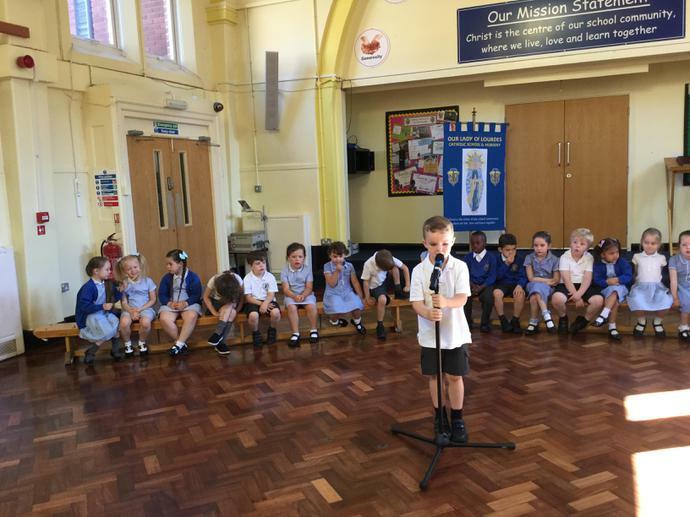 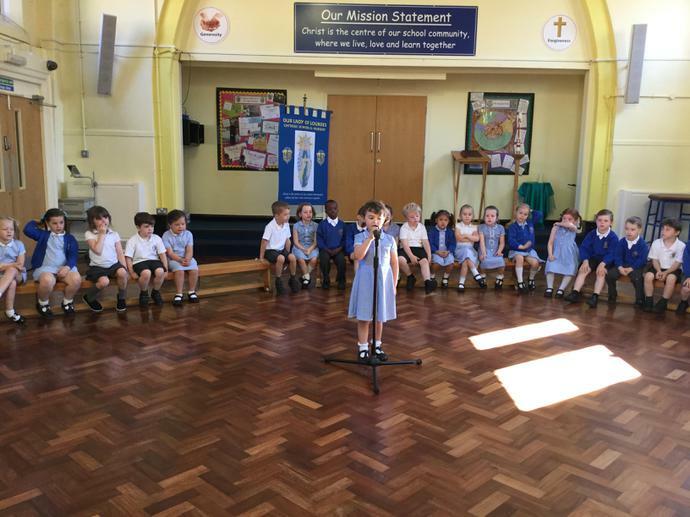 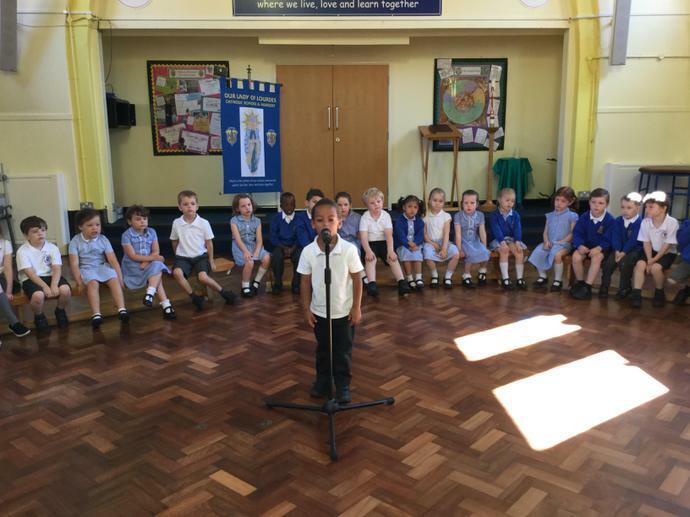 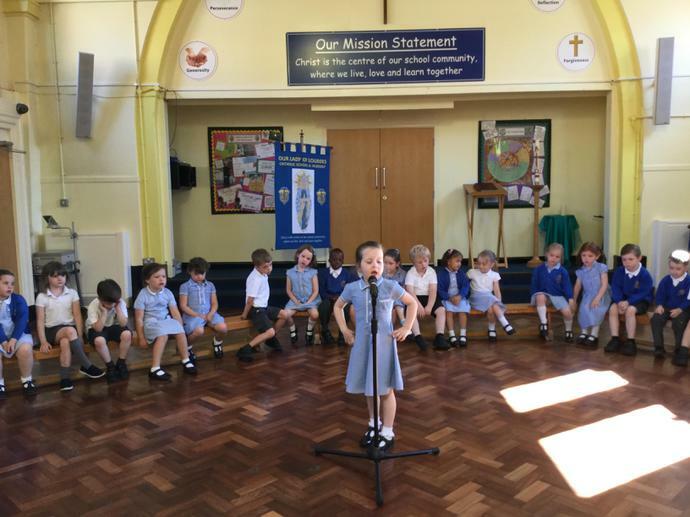 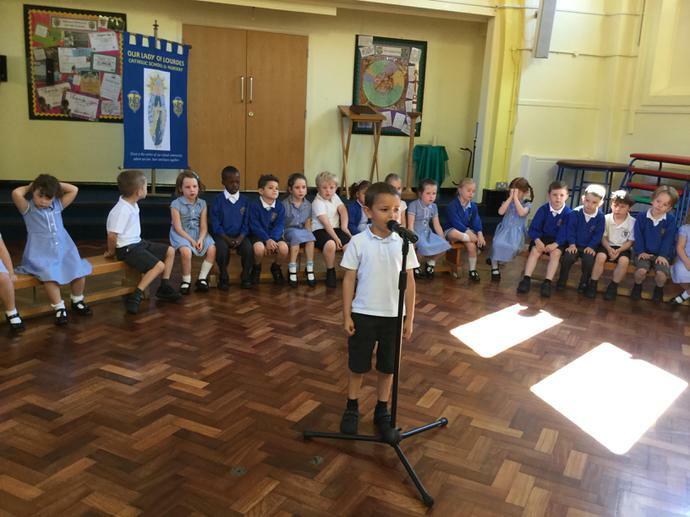 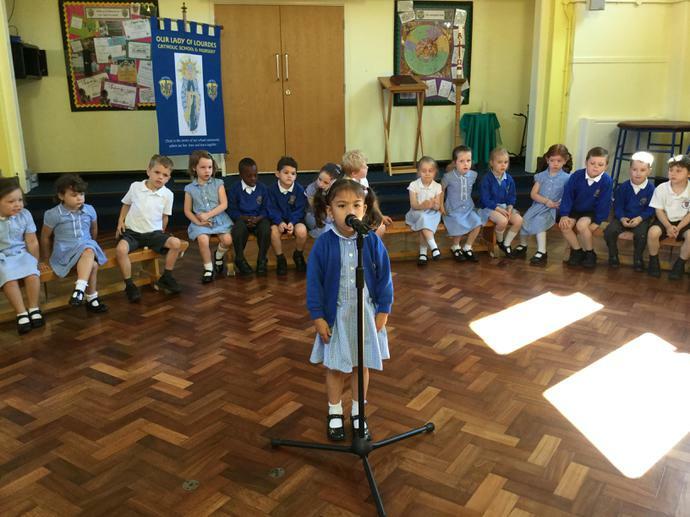 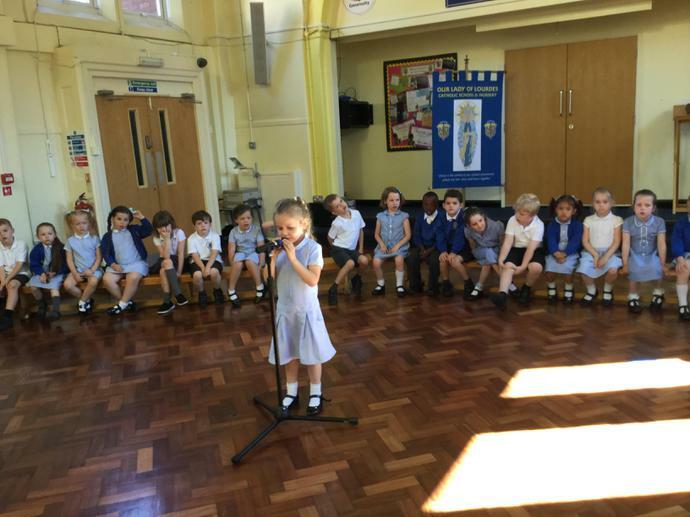 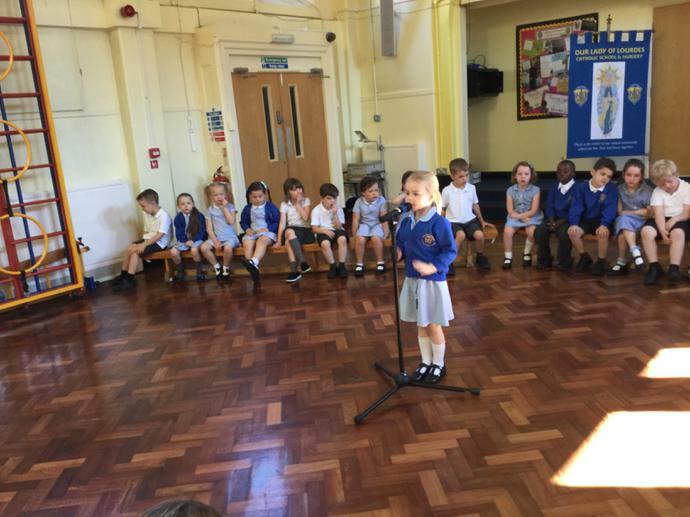 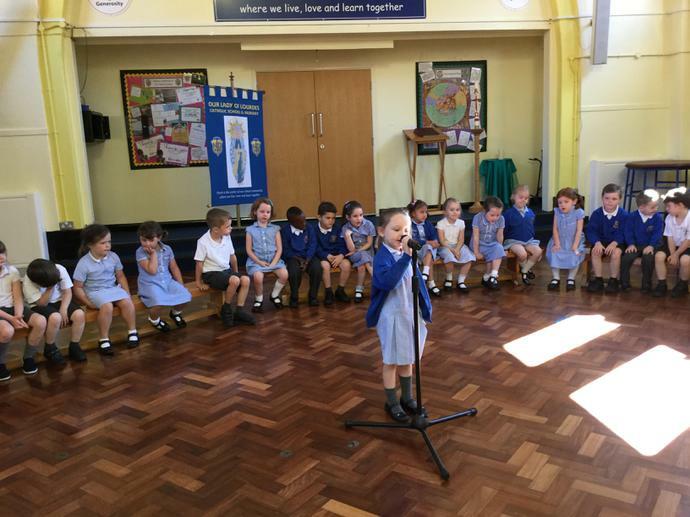 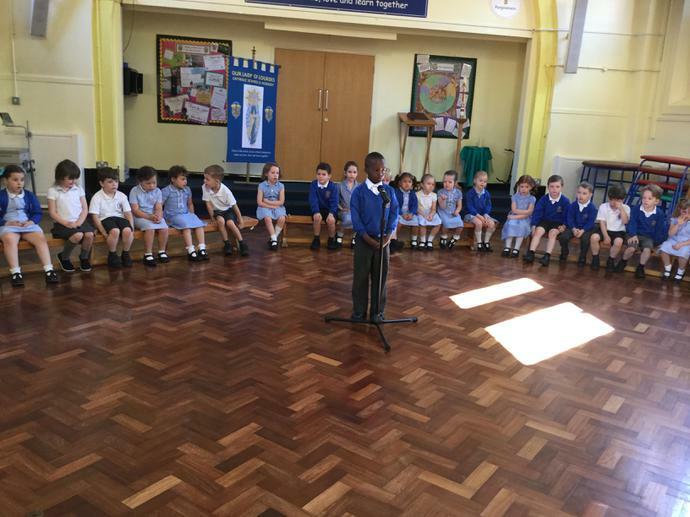 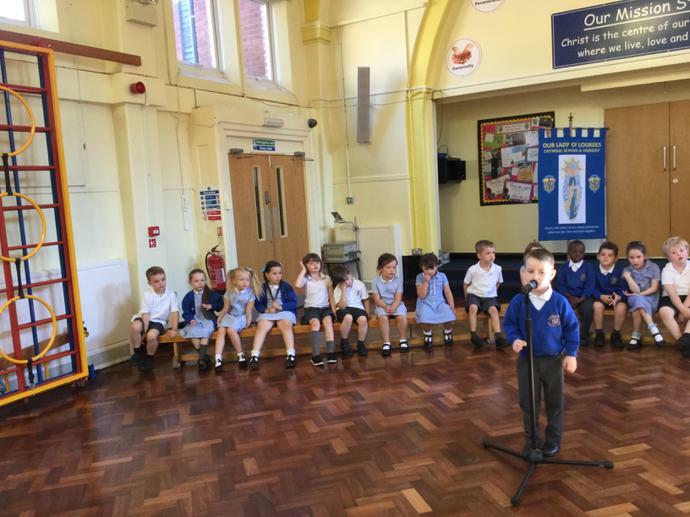 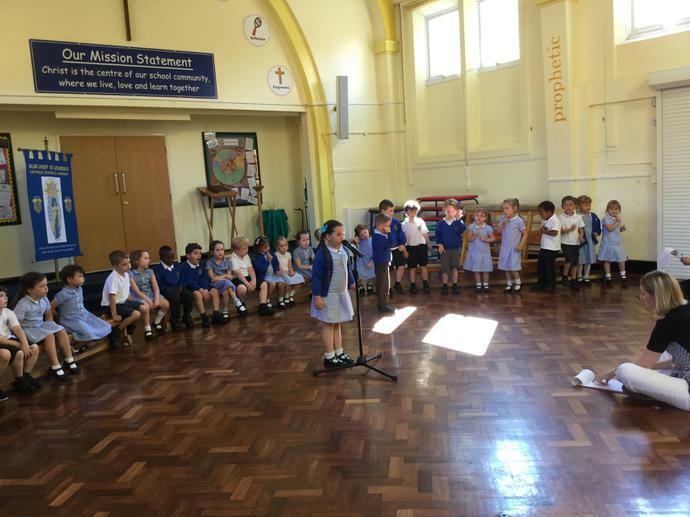 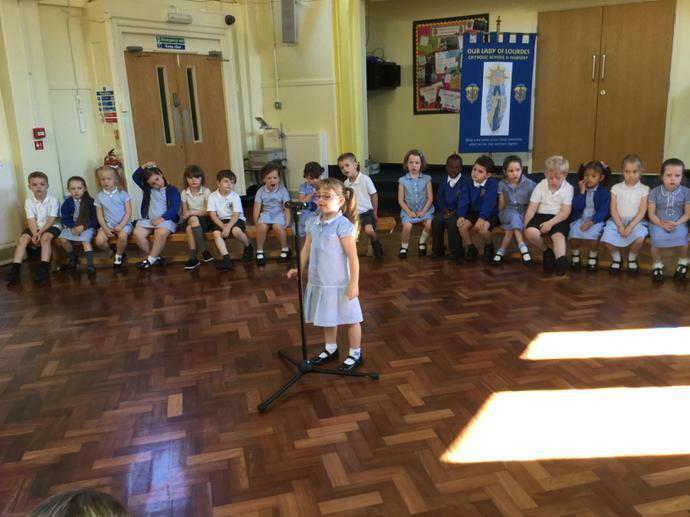 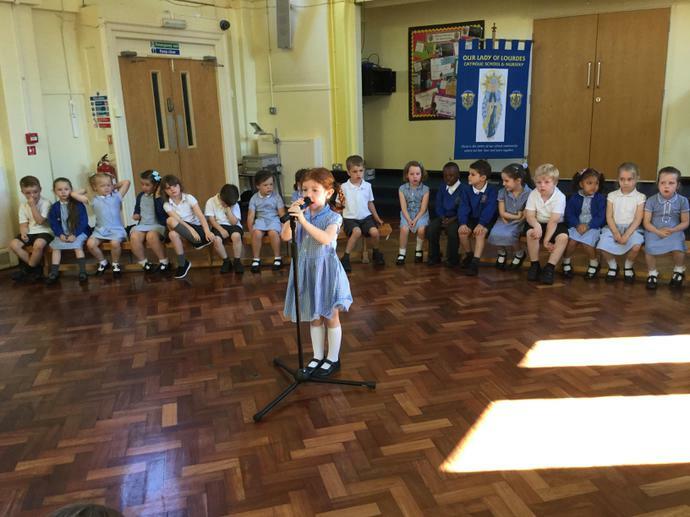 We enjoyed performing our assembly on the theme of Saying Thank you. 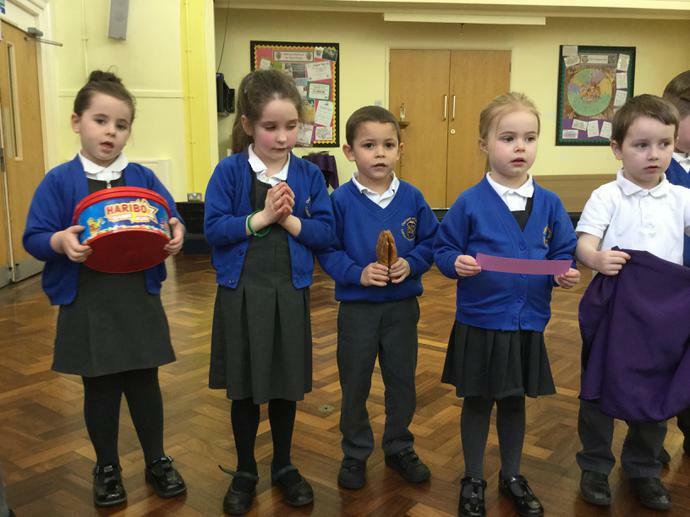 We acted out the story of the ten lepers as a reminder of how important it is to say thank you.